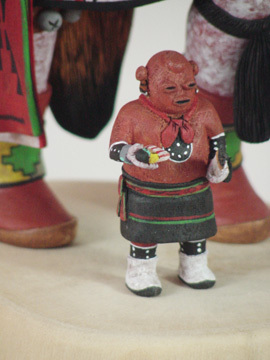 The Koyemsi, or Mudhead Kachina, is a clown who may be seen in most Hopi ceremonies. 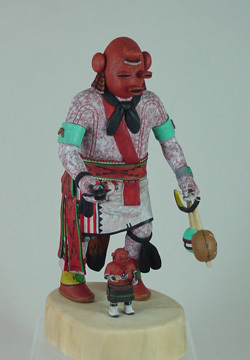 Mudhead Kachinas drum, dance, play games with the audience, and may act as announcers for events. 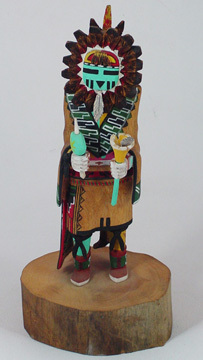 They often give prizes or rewards for the races and guessing games they organize. 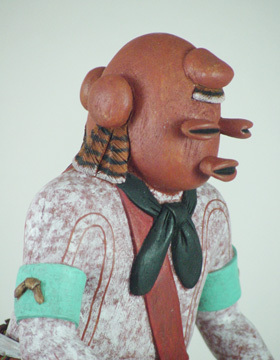 The term "mudhead" comes from their masks which have mud applied to them. 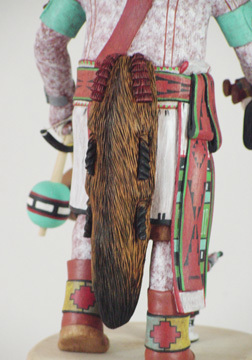 Most of the time they accompany other kachina; probably the only time when they do not appear with other personages is during the Night Dances. 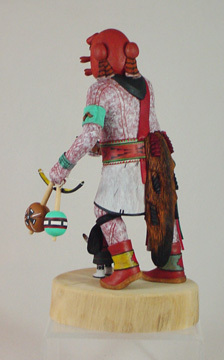 Koyemsi are usually the ones that play games with the audience to the accompaniment of rollicking tunes. 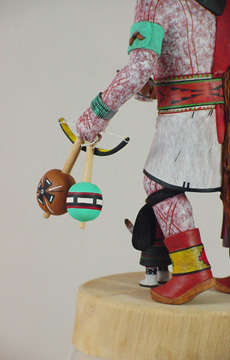 These games are generally guessing games or simple attempts to balance objects of performances of some common act and the rewards are prizes of food or clothing. 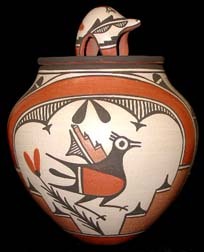 They may appear as a chorus, and on First Mesa and possibly other villages their songs are in Zuni. During the rests in a dance, they may engage in games with the boys and girls in the audience. At other times, only a single Mudhead may appear as a drummer for a group. 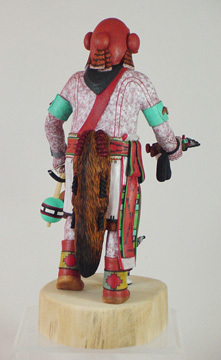 Should a dancer not have the proper mask or be late in arriving, he can easily become a Mudhead by donning that mask. 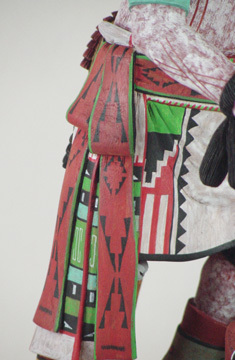 These kachinas appear in almost every Hopi dance. Andrew Sahmie was born in 1960 and is a member of the Corn Club in First Mesa. 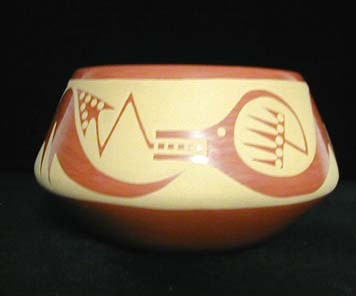 (Polacca) Arizona. 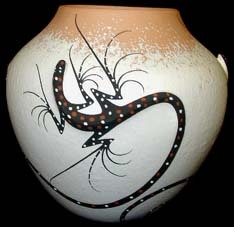 He is the great, great, grandson of Hopi pottery matriarch, Nampeyo, and the husband of Kachina carver Ida Sahmie. 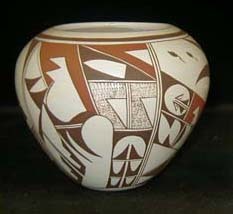 Like many of of the Hopi carvers, he is self-taught in the art, working from trial and error, and watching his older brothers, Finkle and Randal Sahmie. 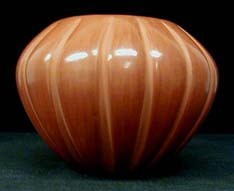 Andrew has een carving steadily since 1990, and has developed outstanding refinement in his work. 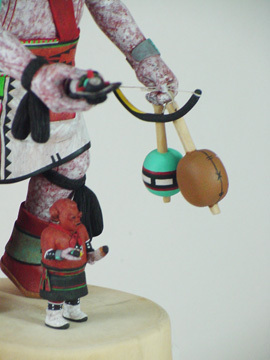 One only has to look at the crook of his fingers in his Kachinas to appreciate his attention to detail in his work. 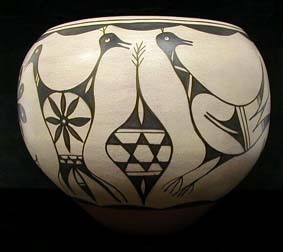 Creative individuals surround Andrew; his mother, Priscilla Namingha, and his Navajo wife, Ida Sahmie, as well as his first cousins, Steve Lucas and Dan Namingha are all award winning artists.